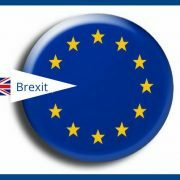 Initially the intended date for the United Kingdom to leave the EU was set for March 29th. However, the date for the Brexit has now been pushed back to April 12th 2019. Because there is still much uncertainty around the Brexit, there are now many shipment to the United Kingdom. With the VAT reverse charges rule, VAT does not need to be paid immediately upon entry, but instead is deferred until your periodic tax return. This rule requires a special permit, the so named “Article 23”, which can be requested from the tax authorities, customs division. A Binding Tariff Indication (BTI) can be requested from customs, for a specific product. This way there is never any question of which the correct HS code is, and which import duties (if any) apply. The British pound is very unstable and it does not seem likely that this will change in the short term. The exchange rate could potentially change between the time of invoicing and time of payment. There are various options for hedging currency risks, please contact your bank. More information about EORI ?